The fashionable portrait painter was William Nicholson (1872-1949) whose previous commissions included AC Benson, Master of Magdalen College, Oxford, and JM Barrie, the author of Peter Pan. Nicholson painted the Webbs at their country house, Passfield Corner, in Liphook, Hampshire and between March and June 1928 Nicholson stayed for several weekends making initial sketches and appearing in May with a large canvas. 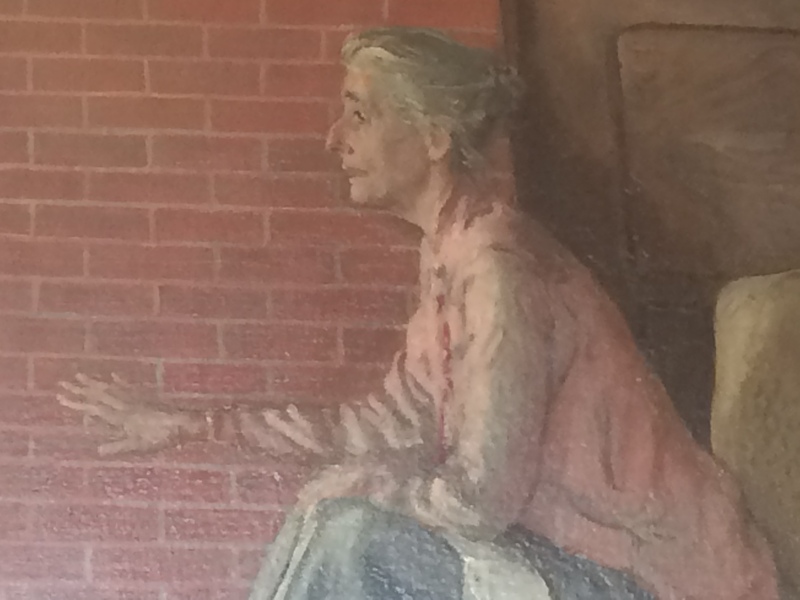 Sidney was rather more reticent about the process but the finished portrait depicted Sidney and Beatrice Webb in the drawing room of Passfield Corner. Beatrice perches on the edge of her chair while Sidney leans beside the fireplace. 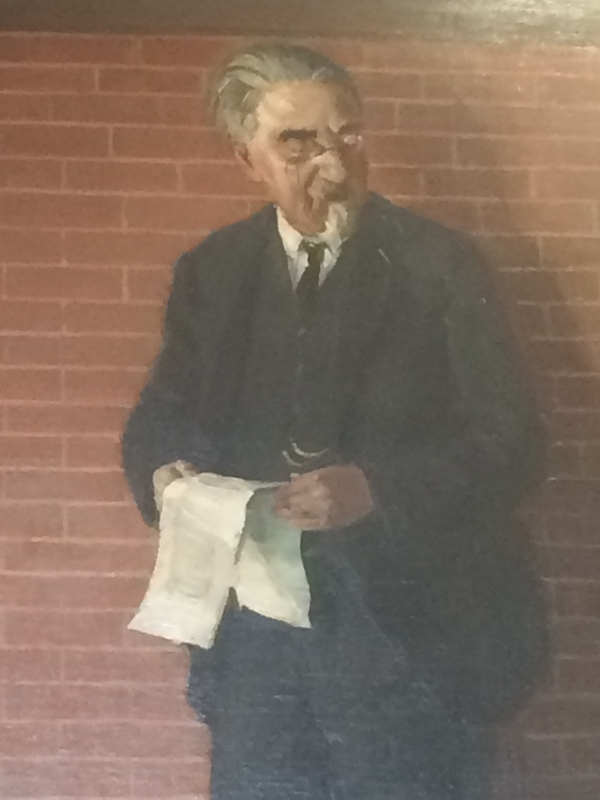 They are surrounded by the galley proofs of the latest volume of their history of local government, published in 1929. 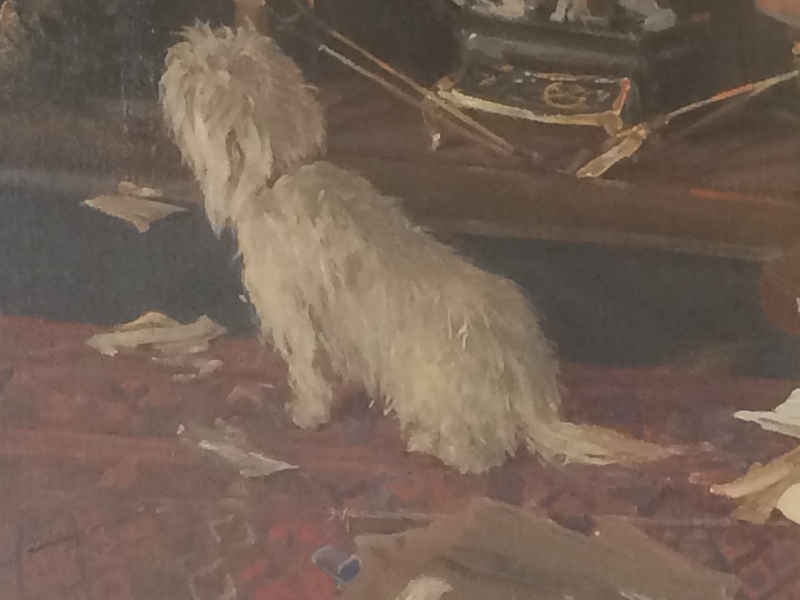 Volumes of Beatrice’s diary are beside her chair and on the rug before the fire sits their small white terrier – whose name is now forgotten. In the end the portrait was not ready for the opening of the Founders’ Room (now commonly known as the Shaw Library) and a small reception was held in January 1929. 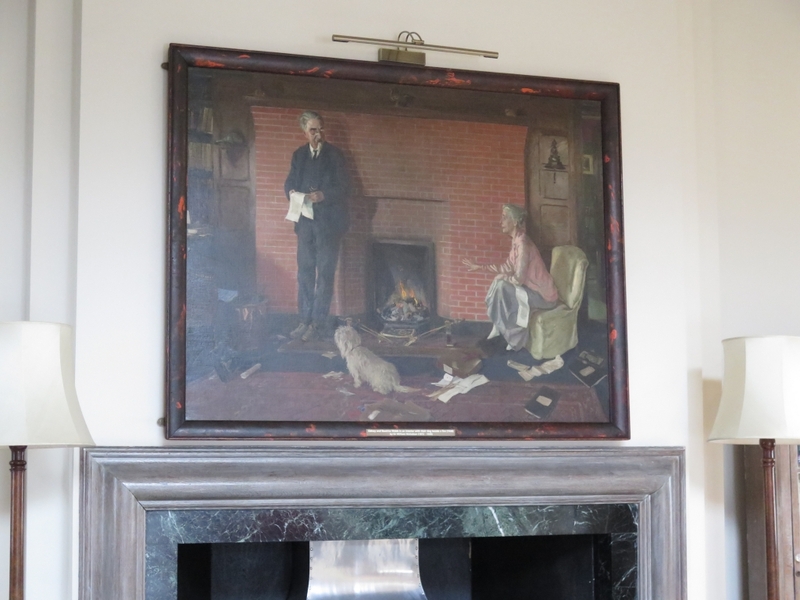 The double portrait now hangs over the fireplace in the Shaw Library – a reminder to staff and students of the School’s founders.